I AM delighted that you have found your way here. My intention is to “Empower You & Those You Love” through unique, yet practical Forays into the AHHHsome! 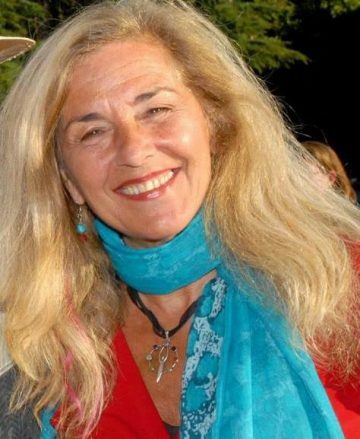 As a metaphysical & wholistic health curator, host of “Shima Metaphysics & Moore Radio,” Stargate facilitator, wordsmith, and AstroEducator, I am passionate to engage audiences on multiple levels live and online from my home in Mt Shasta. I honor and respect ALL beings. If my POV and info are new and unfamiliar to you, or if they feel like “home,” great! I look forward to connecting with kindred spirits—and those who may feel they are newly blossoming kindred spirits. My blogs, vlogs, musings, webinars, in-home seminars, playshops, concerts, cruises, events, conferences, festivals, and more. . . whew . . . will, no doubt, continue to morph as we go forward. But, at this point, the following are several of my current passions. “5D_Star Portal: Astrology, Manifesting with the Moon, & Stargate” — my PASSION! Ancient Wisdom•Modern Pathways, my astrology offerings are a blend of cosmological insights, awareness, and motivation, including modern insights along with wisdom passed down since time immemorial through ancient teachers/priest/priestesses. I offer much of this to you through in-depth customized REPORTS, easy-to-understand introductions, and one-of-a-kind CHARTS. The info is all there. ALL AW•MP charts are based on precise timing, according to the info you provide, which is essential since, like the coordinates of a map, a chart is erected based on the date, place and time of birth, or, in some cases, inquiry or event. I AM NOW offering optional 1-on-1 private or group sessions, seminars, webinars, etc. with me, along with Reports, either LIVE in Mount Shasta or via SKYPE or Zoom or phone. BTW, if unearthing your personal lunar personality and discovering how to co-creating with each phase of the moon’s powerful Lunation Cycle — to successfully and effortlessly manifesting your intentions, dreams, etc. — sounds exciting. Yay! I joyfully share with clients the ahhhmazing wisdom available by tuning into reoccuring cycles of the moon. And, I invite you to participate in ongoing education and hands-on experience and facilitation to support your own Vitality and Wellbeing. Throughout the year, I AM available to personally assist you in achieving a successful outcome in an area I have personally experienced — The 10-Day Ageless Vitality MASTER CLEANSE, which gets MY seal of approval as a “most effective and affordable TOTAL BODY-MIND-SPIRIT RESET”!!! I personally do several a year! And, even though, a FULL 10-day Cleanse is truly optimal—a 3-Day Ageless Vitality Master Cleanse can make a huge difference in how you feel, look and think about yourself. So it’s okay to start with that. Who knows you may decide to continue. I once did that for 21 days! Consider yourself INVITED to join me on my first Cleanse of 2019! — I will be doing an upcoming Ageless Vitality Master Cleanse in January 2019! Most people feel it’s much easier with support! I’m happy to assist in that regard. Visit my FB page or explore further here on my website. It’s my pleasure to also invite you to an experience unlike any other— an ahhhmazing 5D_StarPortal: STARGATE Meditation. Blending high-frequency vibrations with age-old alchemical wisdom of a heavenly cosmos—astrological oracles, insights, and cycles—used by ancients teachers, to advise, assist and guide humanity is something I love to do. It’s a unique function of my 5D_Star Portal experiences. And finally, I invite you to ENJOY archived REPLAYS of my weekly international radio show, “Shima: Metaphysics & Moore” (2017 & 2018) which is now on hiatus. But stay tuned. AGAIN, my intention on this site is to bring our tribe or community together and to make this a co-creative space where we can share and empower each other’s creativity and vision. I look forward to hearing all your practical, day-to-day insights and awareness, as well as AHHHmazing, multi-dimensional Art, Music, Healing, Events, Media and Ascension tools and techniques that connect our hearts and minds, propelling us forward on this journey of life. I appreciate you and am grateful that we have found each other. Remember, if it’s to be, it is up to us to co-creator transformation and consciousness on our beautiful planet. Looking forward to having this new experience.